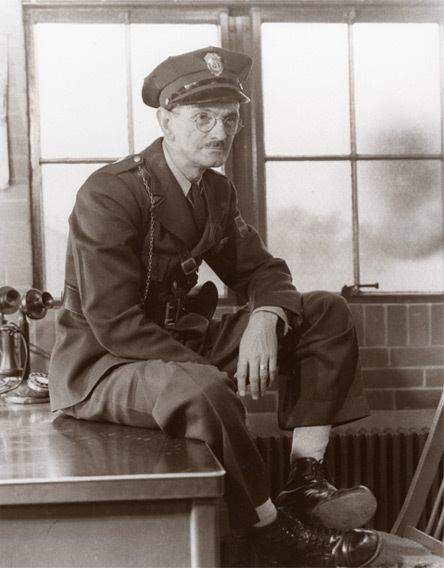 My Father-in-Law, Clyde Wills, was a guard “OP Co. Police” at Philo (power) Plant, Philo, Ohio, for 10 1/2 years from 1948 until laid off in 1958. He recognized the building in the background as the guard house and the gentleman in the picture as Offord Richardson, nick named “Howdy Doody”. Mr. Wills said that the guards were the original night answering service for trouble calls for the Zanesville Area. He would take down the information and pass it on to Stan Hammond, who was the Area Servicer in Zanesville, at that time. – Gene Sullivan, retired from 850 Tech Center in 2004. Gene, Good to hear from you. Hope all is well with you. Best wishes.